Thanks for choosing Dr. Zachary S. Sisler, DDS! Click on the link provided above. This will take you to your Google Maps and show our Dr. Zachary S. Sisler, DDS location. Scroll down until you see the Rate and Review section. 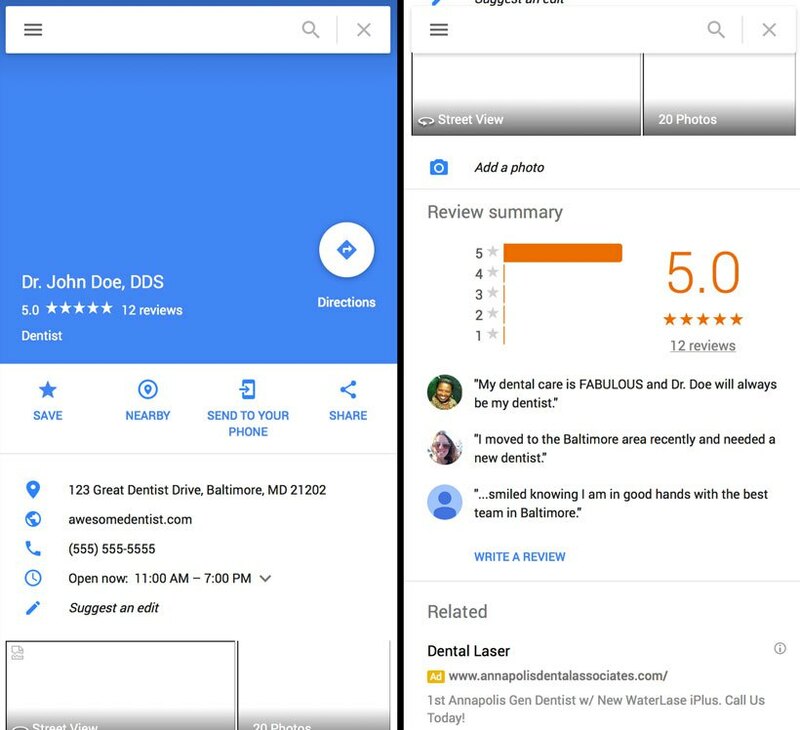 If you're on a desktop computer, click the "write a review" link, if you're on a mobile device select how many stars you would like to give Dr. Zachary S. Sisler, DDS and then write your review. Once you’re done writing your review, click post to add your review. Once the Google Maps App has downloaded. Open it on your phone and use the search bar to type in "Dr. Zachary S. Sisler, DDS". The app will show you our location. Scroll down to the Rate and Review section. Select how many stars you would like to give Dr. Zachary S. Sisler, DDS and then write your review. Once you’re done writing your review, click post to add your review. Thanks again for showing your continued support for Dr. Zachary S. Sisler, DDS!